A new 6-story, 48,000 SF building with 50 apartments and ground floor retail replaces the former home of Powell’s Technical Book Store on Portland’s North Park Blocks. 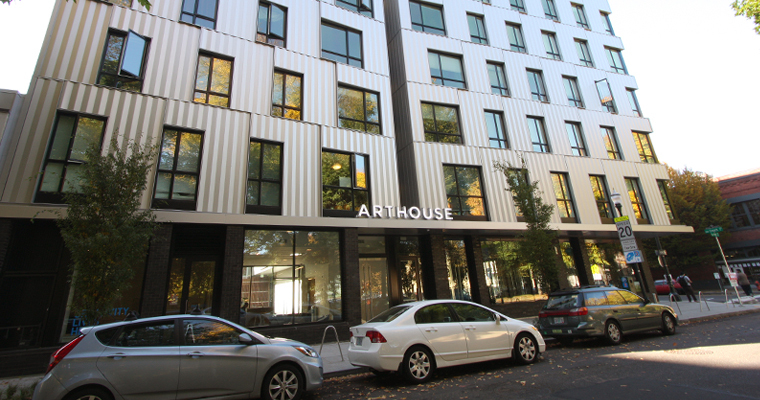 The new apartment building sits nearby the new home for the Pacific Northwest College of Art and is envisioned as a potential home base for students. It was designed by Lever Architecture with LRS Architects. The project designed around a central landscaped courtyard that draws in the greenery of the Park Blocks and offers an outdoor common area for residents. 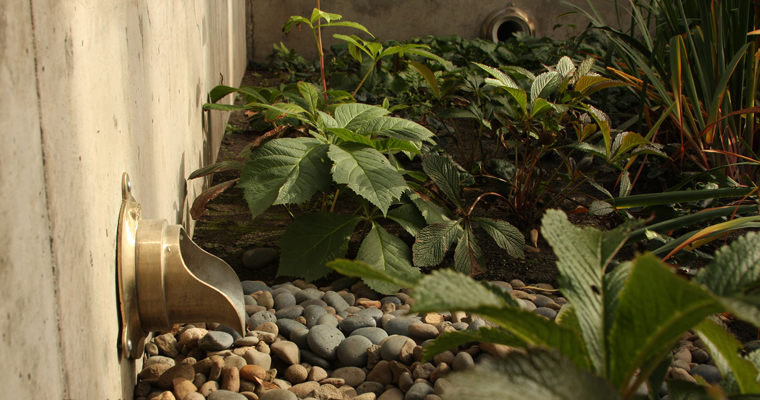 The courtyard also provides on-site water detention and filtration via a flow-through planter. 3J also provided the public improvement design required to reconstruct the 230 lineal feet of frontage for the site, including curb, sidewalk, street lights, street trees, and utility connection. The team worked with the City of Portland Public Works for permitting site features within a limited urban footprint. The project was awarded AIA Portland 2013 Citation Award. 3J provided design for street frontage improvements on the urban site. 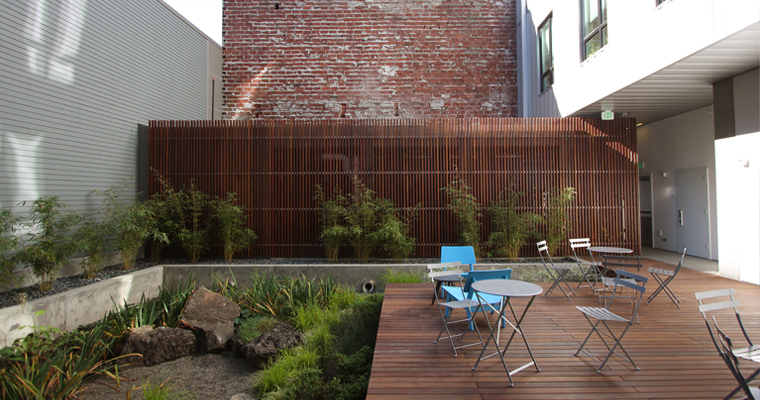 A central courtyard offers a leafy outdoor gathering place for residents and provides as a water detention and filtration. The landscape is designed to clean water runoff before it enters the City's system.